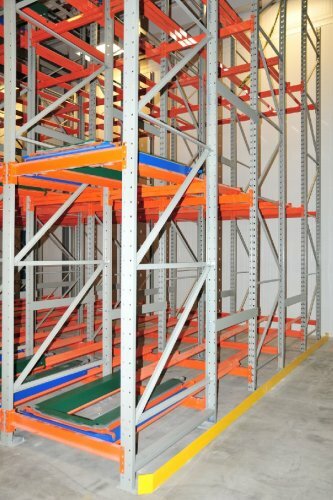 We currently do not have any used pushback pallet racking in stock, but we can provide quotes for new push back systems and also provide installation services. Site visit recommended for such systems to better determine lay out and design. These pallet rack push back systems can be 2 carts to 5 carts deep.